Longtime Tiger Muay Thai & MMA Training Camp, Phuket, Thailand friend and guest, Jason Saggo, is sitting pretty after a first round win via rear naked choke over Eric Attard in the Score Fighting Series in Hamilton, Ontario, Canada. “Something definitely clicked for me in Thailand. I was training at Tiger Muay Thai with some great people – former champions, and even MMA fighters. Brian Ebersole was there (Tiger’s new head MMA coach and currently 4-1 in the UFC). This win continues to establish his record as one of the top lightweight prospects in his country. 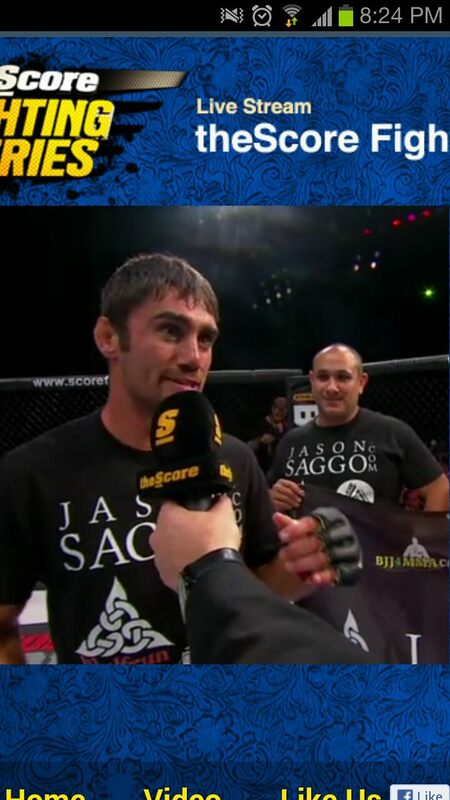 Jason Saggo first came to TMT in 2007, competing in the Pan Asian Grappling games, Professional Muay Thai, and winning the BBQ Beatdown 4 man Amateur tournament. Competing as a pro, Jason suffered his first defeat with a controversial split decision loss to the 7-2 Jesse Ronson. Moving forward with his career, Saggo competed on the main card of the Paul Daley Vs. Luigi Fioavanti ringside event picking up the win against Kevin Morin via TKO in the third round. This new wins moves his record to 7-1. Rd1: Attard feeling out Saggo with leg kicks. Attard lands a solid cross which causes Saggo to force the action to the fence and look for the double leg but Attard fends it off. Attard loses position while going for the plum which allows Saggo to grab a Thai plum of his own land 2 knees and change levels for the takedown. Saggo secures the takedown, takes the back, sinks in the hooks and squeezes until Attard is forced to tap.